Performed with orchestra, this concert features Wolfgang Amadeus Mozart’s Requiem Mass in d minor, one of Mozart’s most performed and popular–but also mysterious–works. Mozart’s Requiem. Its very name evokes a sense of mystery, fires the imagination, and inspires wonder. Musically, the Requiem has firmly established itself in the repertoire as a masterwork with immense ability to comfort, inspire, and enrich all those who hear or perform it. The story of the Requiem’s commission, composition, and completion is shrouded by over two centuries of legend, deception, and controversy. These two aspects of Mozart’s Requiem, its music and its story, are virtually inseparable. Any serious study of one requires significant knowledge of the other. Indeed, it could be argued that the music and the story are mutually dependent on each other for their popularity. Without the controversial story, the Requiem would almost certainly be a beloved part of Mozart’s repertoire, but lack the enormous popularity that continues to fill concert halls today. On the other hand, if the music were not so profound and sublime, it is likely that very few people would care about the story. There are three major pieces of information about the Requiem upon which scholars and musicians agree. The first concerns the details and purpose of the original commission. On February 14, 1791, Countess Anna von Walsegg died in the village of Stuppach, forty-five miles southwest of Vienna. She was twenty years old. Her husband, Count Franz van Walsegg, was deeply distressed and wished to commemorate his wife with both a physical monument as well as a Requiem Mass which was to be performed on the first anniversary of her death, and every year afterwards. Walsegg, an amateur musician with limited compositional skills, would often commission accomplished composers anonymously, copy the newly commissioned work in his own hand, and then pass them off as his own. To remain anonymous, Walsegg would employ a third party to arrange the transaction. The two other undeniable pieces of information are much more straightforward. Mozart died on December 5, 1791 leaving the Requiem unfinished. After his death, the Requiem was completed by a small group of Mozart’s students and acquaintances, the most important of whom is Franz Xavier Süssmayr. Beyond those facts, little can be said with any certainty. The literature surrounding the Requiem is replete with contradictions, personal theories, and inconsistent historical accounts. Fictitious stories, including the 1984 movie Amadeus, have surrounded Mozart’s Requiem since the early 19th century, further muddying the waters of historical and musical scholarship. Questions regarding the details of the Requiem’s completion, the motives of Constanze (Mozart’s widow), and the final hours of Mozart’s life remain a mystery that is forever unsolvable. One mystery which is central to any study (or performance) of the Requiem is an attempt to determine where the music of Mozart ends and Süssmayr begins. At the time of his death, Mozart had fully completed only one (Introitus) of the fourteen movements. Eight more (Kyrie, Dies irae, Tuba mirum, Rex tremendae, Recordare, Confutatis, Domine Jesu, and Hostias) had complete vocal parts along with some figured bass. Only fragments of the instrumentation existed for these movements. The Lacrimosa consisted of only eight measures and nothing was yet written for the Sanctus, Benedictus, Agnus Dei, and Communio. Süssmayr was tasked by Constanze with completing the Requiem. This involved writing instrumental parts for the partially finished movements and composing original music for the four unwritten sections. From the beginning, Süssmayr and Constanze conspired to create a forgery designed to convince Walsegg that Mozart had completed the Requiem prior to his death. This would allow Mozart’s widow to collect the remaining money on the commission, and to prevent Walsegg from attempting to retrieve his initial deposit. To complete the deception, Süssmayr composed the missing Requiem fragments in a handwriting similar to Mozart’s and even forged Mozart’s signature. Early in the history of the Requiem, the limitations and errors in Süssmayr’s completion were acknowledged, even by Süssmayr himself. It would be almost two hundred years before anyone would attempt the work of (re)completing Mozart’s Requiem. Several new editions and completions have been attempted during the past fifty years. Some have taken a conservative view, changing as little as possible from the traditional Mozart-Süssmayr version. Others strip away everything that is not believed to be by Mozart and start over. Despite the existence of these revised editions and recreations, Süssmayr’s traditional version remains the most performed completion of the Requiem and is in no danger of losing its primacy. Prominent German musicologist Franz Beyer completed the edition of the Requiem that will be performed this evening. Finished in 1971, it is probably one of the most conservative of the modern Requiem editions. Beyer’s goal was not to create something new, but rather, as he said in the preface of his edition, to “cleanse the work from all the impurities of obvious errors and deficiencies, and to try to return as far as humanly possible to the original concept of Mozart.” Beyer desired to change as little as possible from Süssmayr’s work. Indeed, Beyer is convinced that even the movements which were composed completely by Süssmayr were actually based on compositional fragments from Mozart which were later lost. Thus, to change Süssmayr too much is to lose Mozart. The result is a highly satisfying edition of one of the greatest monuments of western music. It respects the two-hundred-year tradition of Mozart’s masterpiece while correcting many of the glaring errors (and not-so-noticeable deficiencies) of Süssmayr. It allows Mozart’s music to speak clearly and directly without distraction or novelty. 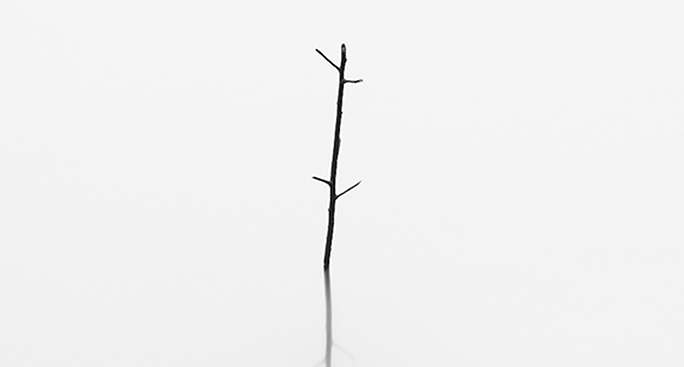 It allows us to focus on the content of the art, rather than on the means. Mozart’s Requiem is often performed today because it still has something to say to all of us. Now, we must listen. Valerie is a founding member of Griffin Choral Arts and is a regular soloist, including performances of Haydn’s Mass in Time of War, Brahms’ Requiem, John Rutter’s Requiem, Vivaldi’s Gloria, and Poulenc’s Gloria. Valerie performed a solo recital benefiting Griffin Choral Arts in February 2014. She is also a regular soloist for the Chancel Choir at Griffin First United Methodist Church where she has sung solos for many major works, including Saint Saëns Christmas Oratorio, Fauré Requiem, and The Seven Last Words of Christ by Theodore DuBois. 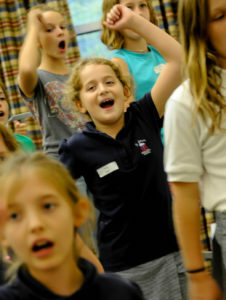 Valerie studied with voice faculty from Gordon College, Clayton State University, and Florida State University. She completed her B.M. degree at Clayton State University. She performed a Master’s recital at The University of Georgia under voice professor Dr. Stephanie Tingler. Most recently, Valerie studied voice with Sandra Lutters of Atlanta. Her opera roles have included Esther in Orphan Queen by William Whitefield, Monica in Menotti’s The Medium, Serafina in Donizetti’s Il Campanello, Laetitia in Menotti’s The Old Maid and the Thief, and Mimi in La Bohème by Puccini. She is married to Dan Gill and is the mother of Brittain and Coleman. 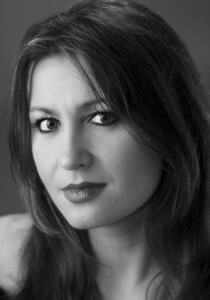 Polish born mezzo-soprano Magdalena Wór is a winner, finalist and recipient of many prestigious national and international competitions and awards including the Marcello Giordani and Moniuszko International Vocal Competitions, Metropolitan Opera National Council Auditions and Marcella Kochanska Sembrich Vocal Competition. 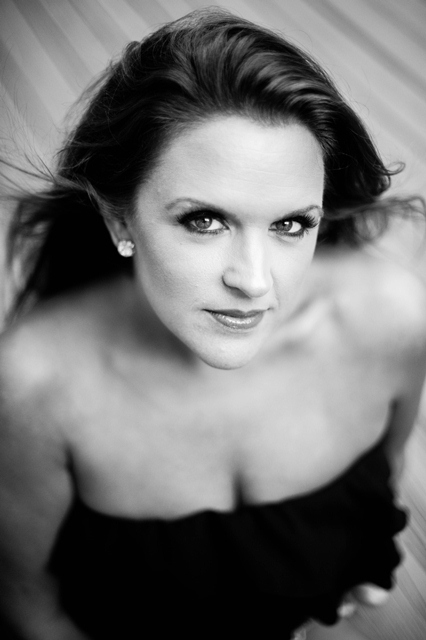 Ms. Wór is an alumna of Washington National Opera’s Domingo-Cafritz and San Francisco Opera’s Merola Opera Programs. Over the last several seasons Ms. Wór has been engaged by The Metropolitan Opera; the National Symphony Orchestra and the National Philharmonic in Washington, DC; the Washington National Opera; Seattle Symphony Orchestra; Atlanta Symphony Orchestra; Baltic Opera; Washington Concert Opera; The Atlanta Opera; Virginia Opera; Palm Beach Opera; Memphis Symphony Orchestra; Alabama Symphony Orchestra and New Trinity Baroque, among others. Kosowski maintains an active career as a soloist, chorister, conductor, director and educator. His performance career includes a varied repertoire encompassing over 50 opera and oratorio roles, representing music from the early 17th century through the 21st century. 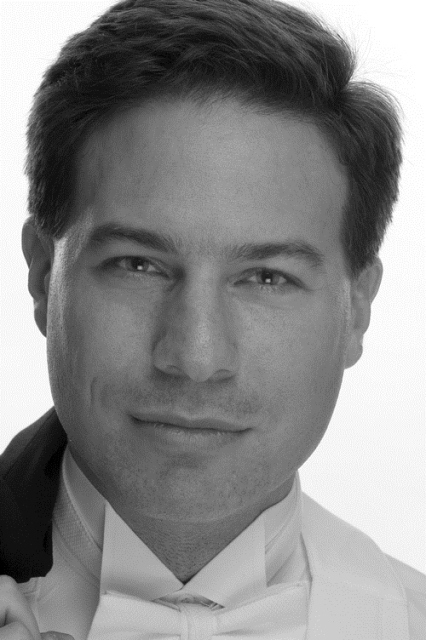 In October 2014, he was tenor soloist in the North American premiere of Alan Craig’s A Diminished Mass. He is an active song recitalist, and as a professional chorister he has sung across North America, Europe, and Asia with the Metropolitan Opera, New York City National Company, National Chorale (NYC), and the Choral Guild of Atlanta. He is currently a chorister in Atlanta-based Coro Vocati. 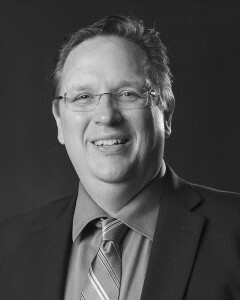 Kosowski has served on the faculty of the Townsend School of Music at Mercer University since 2007, and is currently the Director of Graduate Studies for TSM. As music director for Mercer University Opera, Kosowski has conducted Gilbert and Sullivan’s Iolanthe, Mozart’s The Magic Flute, and in January 2015, he conducted Handel’s Alcina, in what is believed to be the first “local” staging of a Handel opera in the State of Georgia. He is the music director for the Mercer University Children’s Choir program. In this role he has prepared MUCC for performances of Hänsel und Gretel and “Home for the Holidays” with the Macon Symphony Orchestra. Under his direction, MUCC has traveled to 24 states and performed in important venues in Boston, Providence (RI), Philadelphia, Washington DC, Winston-Salem, St. Louis, Memphis, Nashville, Charleston (SC) and Savannah. Kosowski began his career as an elementary music specialist with Atlanta (GA) Public Schools. He holds a Doctor of Musical Arts from the University of Houston Moores School of Music (TX), a Master of Music from the University of Miami Philip and Patricia Frost School of Music (FL) and a Bachelor of Music Education from Truman State University (MO). Stephen Ozcomert, Bass-Baritone, performs regularly in Atlanta area concert halls. Steve has sung as a soloist with the Atlanta Symphony Orchestra under Robert Spano, Donald Runnicles, Robert Shaw, Yoel Levi, Jere Flynt, Alexander Mickelthwaite, and Howard Shore and has served as soloist with the ASO Choruses on other occasions under Norman Mackenzie. His ASO solo credits include two performances in New York’s Carnegie Hall and he may be heard in a supporting role on Telarc Digital’s Atlanta Symphony recording of Puccini’s “La Boheme.” Steve currently serves as a staff soloist at the Glenn Memorial United Methodist Church a Steve’s solo work has been featured on radio broadcasts by WABE. Steve has performed throughout the Southeast in a number of operas and operettas and has an extensive repertoire of more than twenty oratorios from Bach Cantatas to Orff’s Carmina Burana. Steve is a student of Elizabeth Colson.